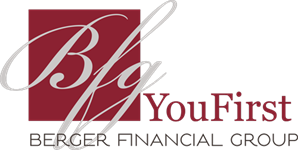 As an independent firm that adheres to the fiduciary standard of care, Berger Financial Group has advisors with the ability to construct portfolios that are free from limitations, and that put You First. Our firm has chosen to work on a fee-based approach, which means the success of your portfolio is directly tied to our success as your advisor. We strive to design and manage portfolios aligned with your level of risk tolerance, and maximize gains while minimizing losses. You can rest easy knowing the recommendations we make are done solely in your best interest. As markets fluctuate and your needs evolve, our credentialed professionals will be there to make adjustments to your portfolio. By keeping you and your goals in mind, we will act seamlessly on your behalf to assure your money is always working for you.